Kitchen in Madison, WI. Spotted: Ole Jensen's Washing Up Bowl. Photo courtesy Stella Rafaelidys. Since I started working (almost two years ago!) on the exhibition European Design Since 1985: Shaping the New Century, I’ve been on a personal scavenger hunt. I want to gather as many of the featured designs “in the wild” as possible. 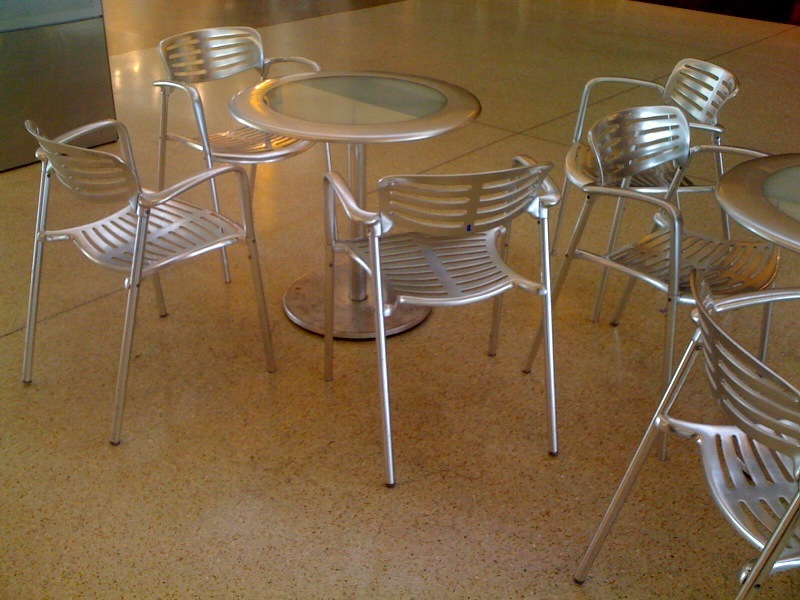 Sure, these fabulous contemporary designs are easy to spot in museums or galleries, but my goal is to find them in hotel lobbies and friends’ apartments. SEA-TAC airport. 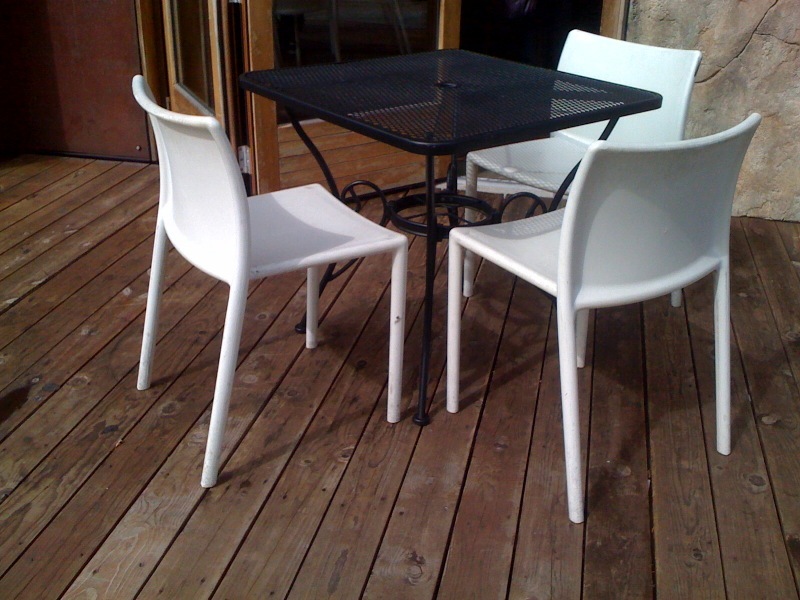 Spotted: Jorge Pensi's Toledo chair. Friend's apartment, Milwaukee, WI. 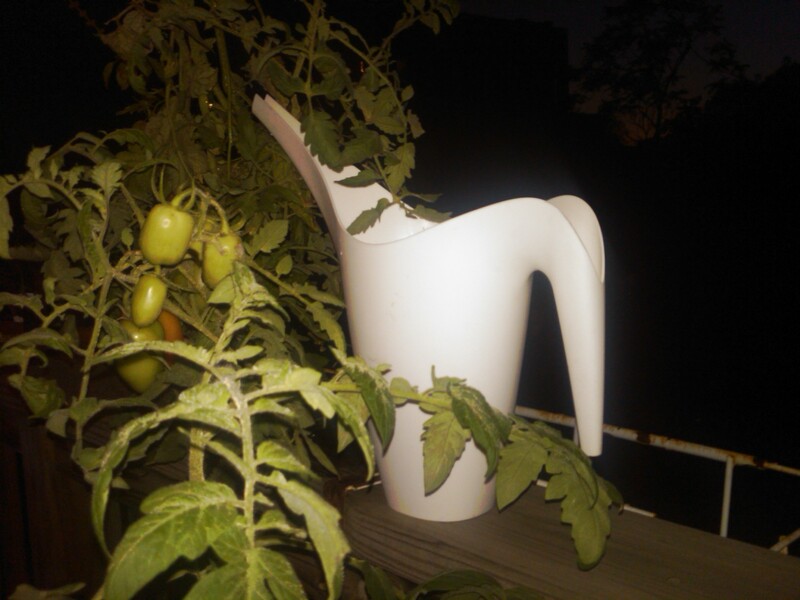 Spotted: Monika Mulder (for IKEA)'s Vallo Watering Can. Photo thanks to Brenda Neigbauer. Karma Bar, Milwaukee, WI. 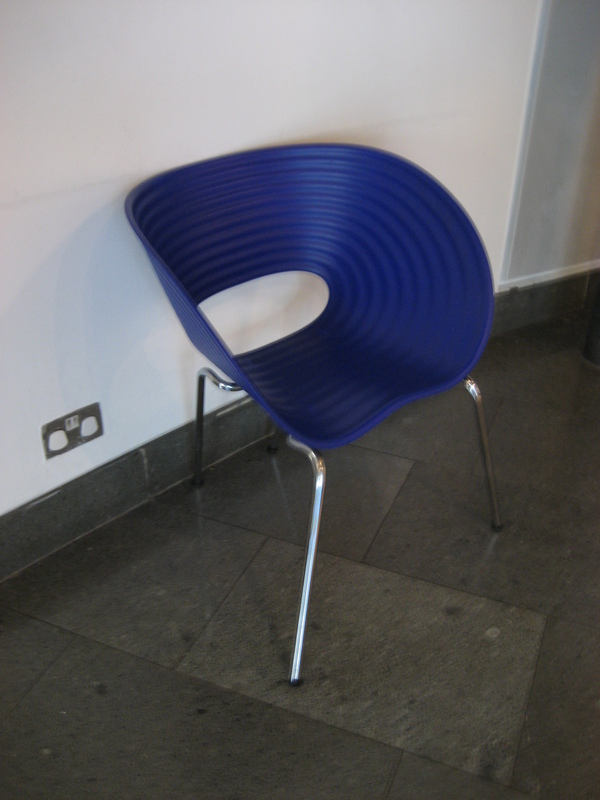 Spotted: Jasper Morrison's Air Side Chair. My Wisconsin apartment. 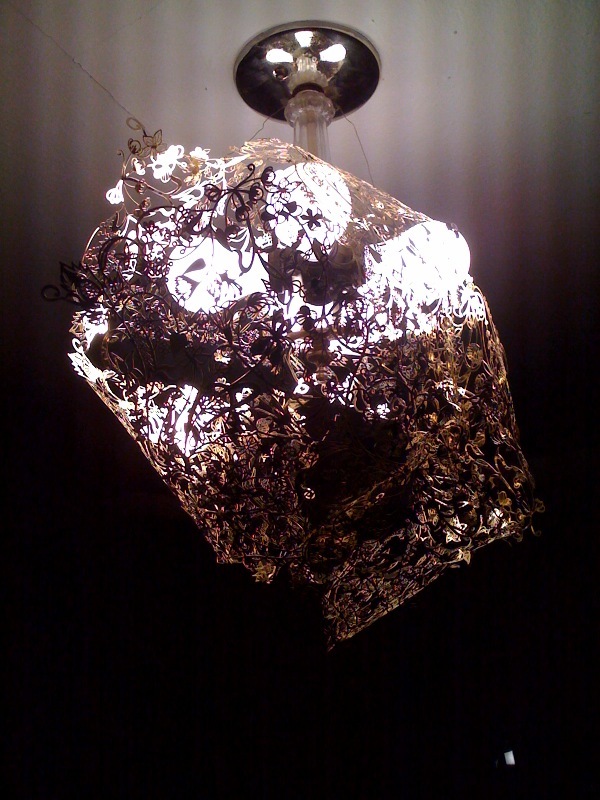 Spotted: Tord Boontje's Ivy Panels twisted into a lamp shade. Museum employee's home, Milwaukee, WI. 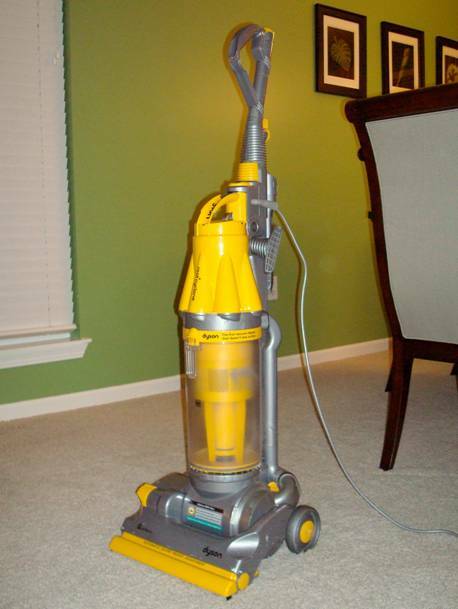 Spotted: James Dyson Vacuum cleaner. Photo thanks to Mark Boyer. Help me out! Do you see any of the designs on view in our European Design Since 1985 exhibition anywhere in Milwaukee? In Wisconsin? In the world? 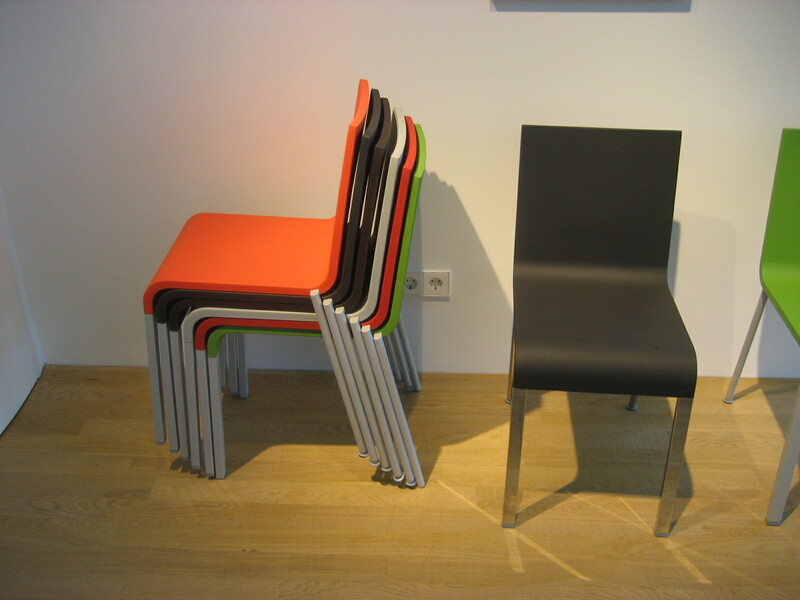 This entry was posted in Exhibitions and tagged Design, European Design Since 1985, IKEA, James Dyson, Jasper Morrison, Jorge Pensi, Maarten Van Severen, Ole Jensen, Ron Arad, Tord Boontje. Bookmark the permalink. 1 Response to European Design: Escape from the Gallery! No design sightings to add (yet)–just wanted to say that I really like this idea! Can’t wait to see the show next time I’m in town.